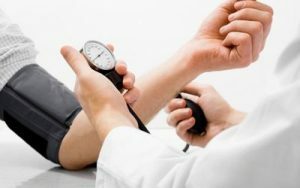 New Delhi: The Indian Council of Medical Research (ICMR) said 10.8 percent of all deaths in India are caused by hypertension as it launched a month-long awareness campaign in collaboration with the Public Health Foundation of India and the International Society of Hypertension, along with over 50 partner institutions. Termed as ‘May Measurement Month 2018’, the campaign called upon organisations and institutions to join the movement and help screen and spread awareness regarding raised blood pressure, which is a leading risk factor for morbidity and mortality in India. Hypertension is attributable to 10.8 percent of all deaths in India, the ICMR said. Speaking at the launch of the campaign, Professor Balram Bhargava, secretary department of Health Research and director general ICMR said, In India, hypertension or raised blood pressure is one of the leading causes of premature deaths in India. Hypertension is directly responsible for 29 percent of all stroke and 24 percent of heart attacks in India. 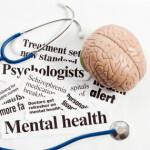 “This is preventable with lifestyle modifications which include physical activity, yoga and dietary modifications. The aim of the campaign is to spread the message of prevention and encourage people across various age groups to check their blood pressure at regular intervals, Bhargava said. Dr Manas Pratim Roy, deputy assistant DG, DGHS, said with the growing burden of disease and mortality due to raised blood pressure, it is imperative that a momentum is built among every member of the society in the country to check their blood pressure regularly across all age groups. Dr Dorairaj Prabhakaran, vice president, Public Health Foundation of India (PHFI) and executive director — Centre for Chronic Disease Control, said that hypertension or high blood pressure (BP) is a major public health problem in India and its prevalence is rapidly increasing among both urban and rural populations. “Around 2.6 lakh Indians die in India due to hypertension. Hypertension is now the most prevalent chronic disease in India. This stresses the need for its effective management and control and it highlights the huge impact it can have on the burden of cardiovascular diseases. “Volunteer organisations/institutes have supported the May Measurement Month Initiative and in 2017 we have successfully screened over 2.5 lakh individuals,” he said. Hypertension has been long recognised as one of the major risk factors for cardiovascular disease and premature deaths worldwide, and is one of the most common lifestyle Silent Killer’ diseases today, with every third person having suffered from it, he said. International data suggest that less than half of those with hypertension are aware of their condition. Raised blood pressure hypertension causes approximately 9.4 million deaths each year worldwide, and many of those who die never knew they were affected. There are no symptoms and some only find out after suffering a heart attack or stroke, or are diagnosed with something else, such as heart or kidney disease. In India, it exerts substantial public health burden on cardiovascular health status and the health care system. Hypertension is estimated to account for 10.8 percent of all the deaths and 4.6 percent of disability-adjusted life years in the country, an ICMR statement stated. The adult hypertension prevalence has shown a drastic increase in the past three decades in the urban as well as the rural areas. It is estimated that 16 percent of ischaemic heart disease, 21 percent of peripheral vascular disease, 24 percent of acute myocardial infarctions and 29 percent of strokes are attributed to hypertension, it added.